KND vs. Twilight. Worst-case senario: You're about to be attacked দ্বারা ভ্যাম্পায়ার Best-case senario: You're about to be attacked দ্বারা non-sparkling ভ্যাম্পায়ার (Also, no offense to any Twilight fans). Wallpaper and background images in the Codename: Kids পরবর্তি Door club tagged: kids next door vampireknd. 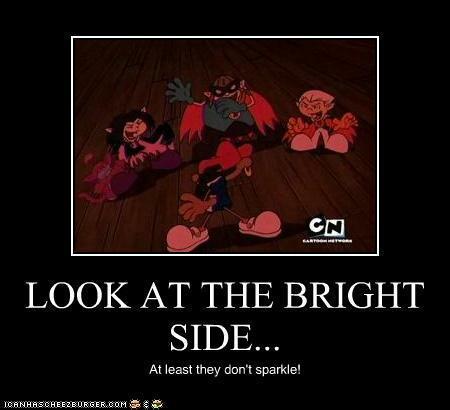 even though I hate twilight knd beats um every time! i freakin hate twilight but they made a cool parody uv it! knd beats twilight big time!!! Yeah, i thought you guys would get a kick out of that! Did you put the caption on the picture? Burst out laughing first thing I saw that. What episode? KND is a buhundred times better than Twilight. . . I always had a crush on Numbuh 4 as a vampire.